Woke up at 4:30am to wait in line at the Visitors Center for walk-up permits out of Yosemite. My morning routine needs work. Don beat me there by 45 minutes and was first in line for permits. 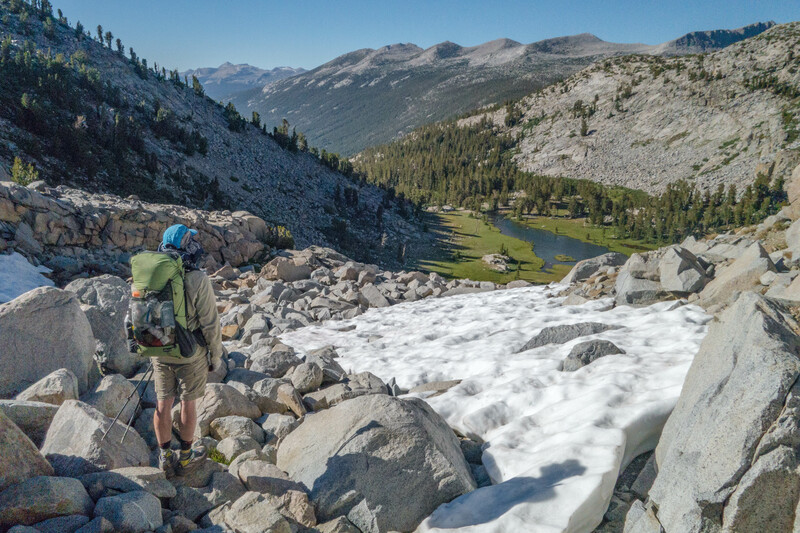 The early morning paid off and we received day-of permits for exiting Yosemite via Donahue Pass. Don and I said goodbye to our three other friends, who were heading home from Tuolomne, and hit the trail at 11:45am. Dozens of northbound PCT hikers were scattered along the trail. Most had started their hike at the southern terminus on or around May 8. They looked hardened from the miles, steely-eyed and ready for some downtime, good food and a beer in town. The resupply I picked up in Tuolomne, combined with extra food I was carrying from leaving a day earlier than expected, maxed out the capacity of my new Gossamer Gear backpack. By the time I reached the top of Donahue Pass, my back was in agony. And by the time we reached our campsite for the night, I was dehydrated, dizzy and feeling nauseous. I skipped dinner, drank some water and slipped into my sleeping bag. Hopefully, tomorrow will be better. I can’t climb another pass like this. 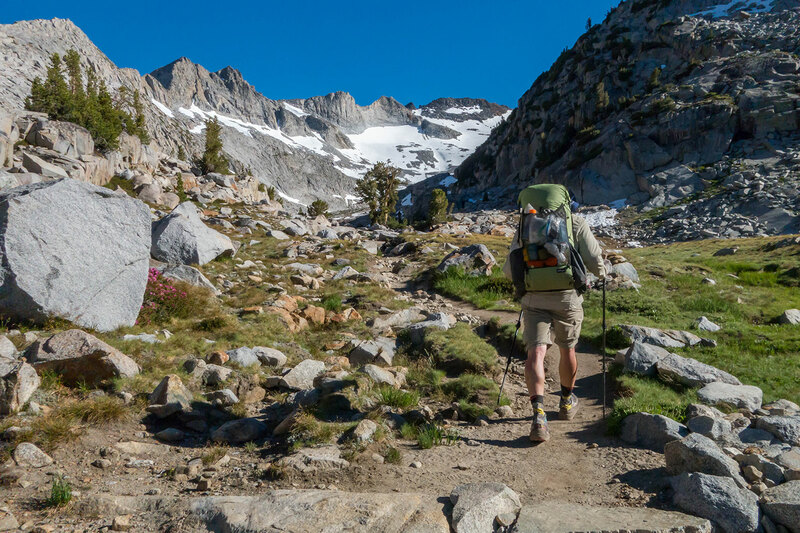 ← John Muir Trail Day 3 – Sunrise Lakes to Tuolomne Meadows. 10.1 mile hike for hunger. Robb I’ve missed your pictures and your writing!! And it needs to be summer already, I am so sick of winter! Thanks so much! Time is elusive these days. Looking forward to getting back in the groove. You were killing it climbing Donohue Pass. The only reason I knew you weren’t feeling well was because you said it. Thanks man. It was the only time on the hike I felt uncertain. Thanks for your help with the adjustments. That made all the difference!